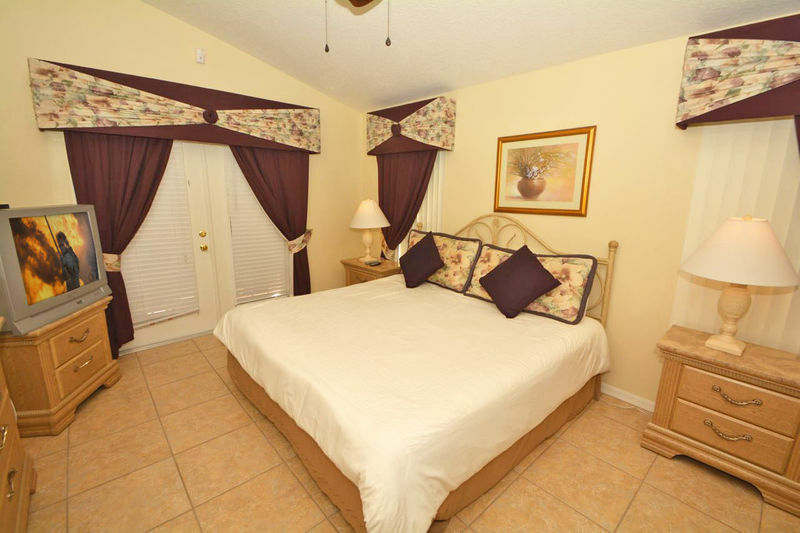 **FREE wifi & long distance calls including international**Games room** This beautifully decorated pool and spa vacation home is located in one of the most popular communities in the Disney area. 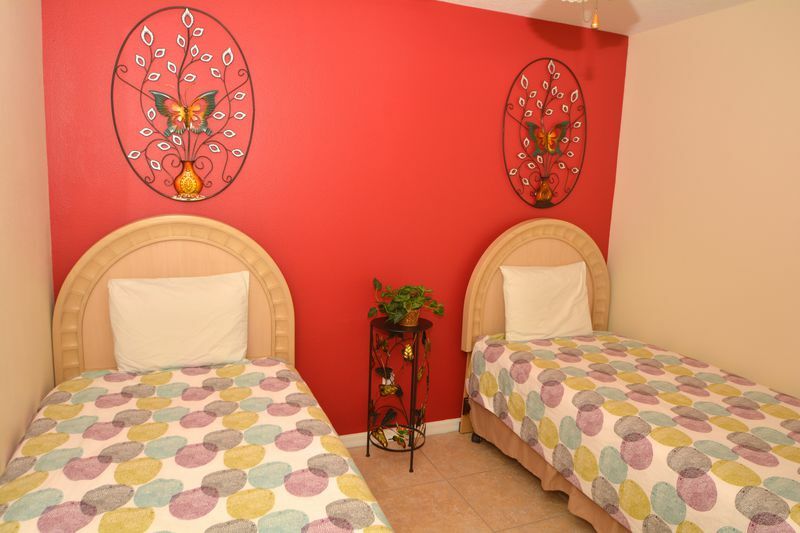 Surrounded by orange groves, our community Orange Tree has a lot to offer our guests. 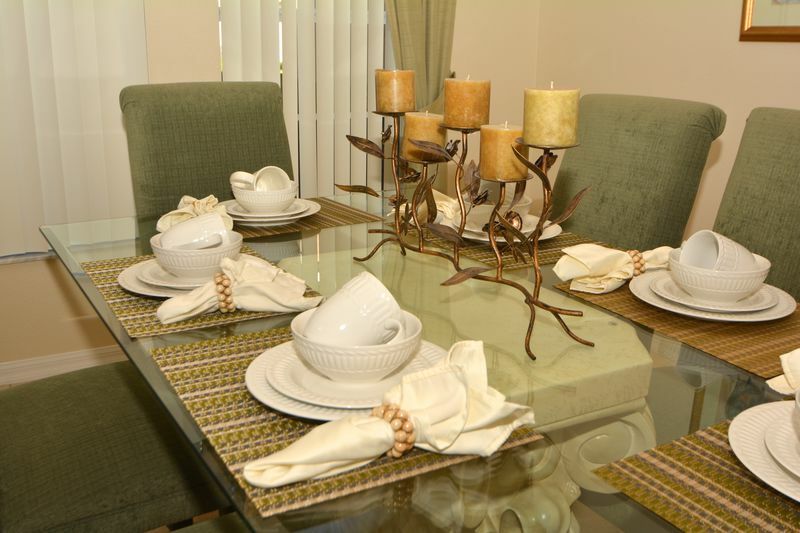 Not only are you staying in a very nice and recently decorated vacation home but you are also staying in a nice and quiet community, safe and still close enough to the theme parks and shops and restaurants are almost at your doorstep so getting your groceries for meals at home to save money is conveniently accessible within a 5 minute drive. 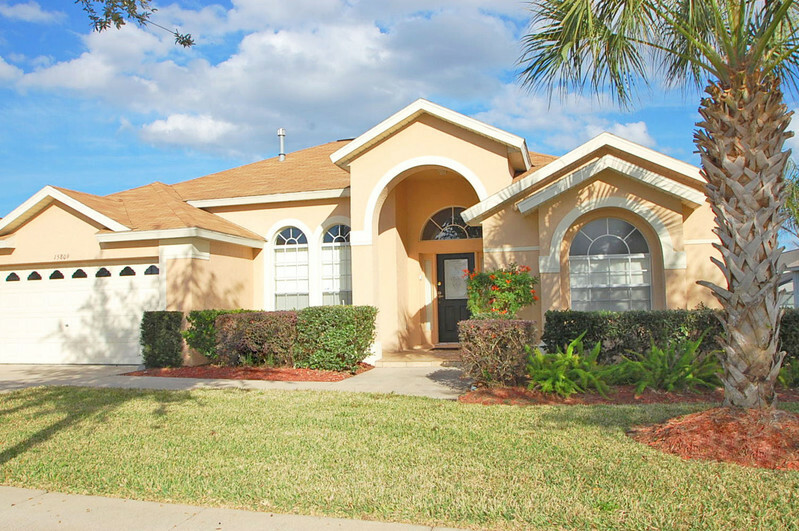 Orange Tree community has a kids playground, soccer field as well as tennis and basketball courts. 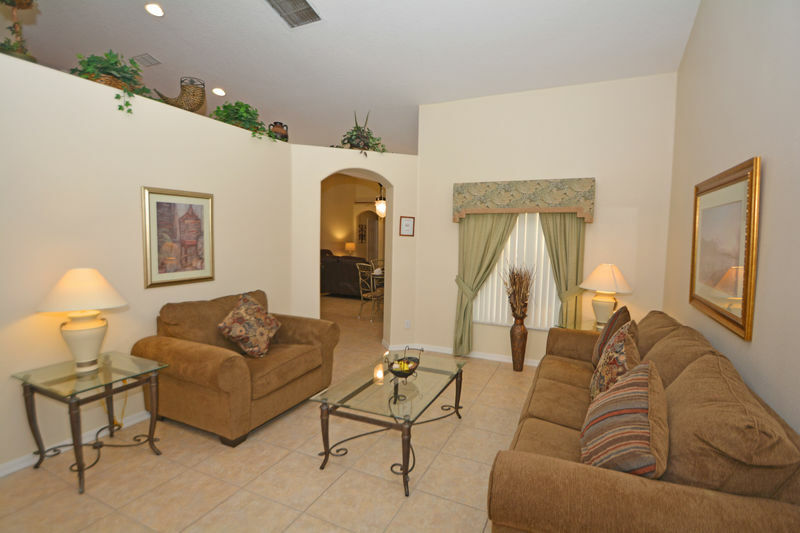 As soon as you walk into our home you will be delighted with the spacious living areas. 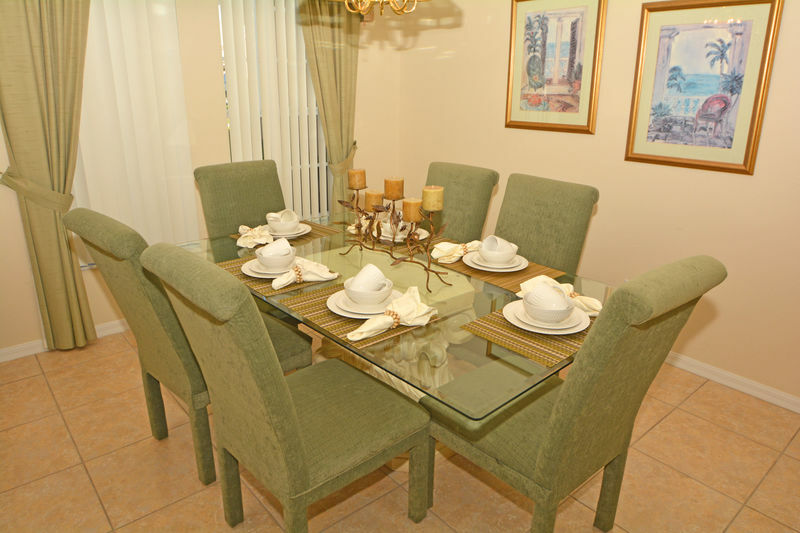 There is a lounge as you walk in with a sofa, loveseat and chair to accommodate 6 guests comfortably, the formal dining room has seating for 6. 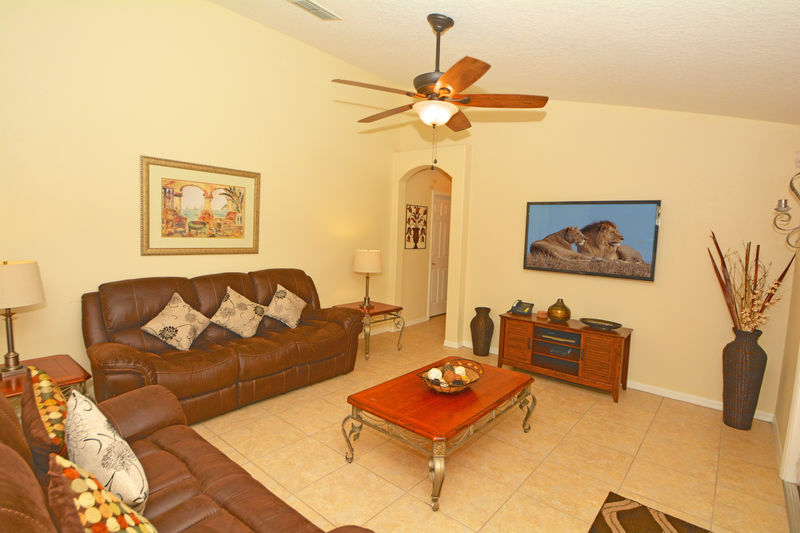 There is a further living room area with 2 sofas seating 6 more guests, a large 55" HD TV, DVD Player and stereo, there is also a dining table by the kitchen that seat 4 guests but there are 3 bar stools at the kitchen counter for even more seating for dining. 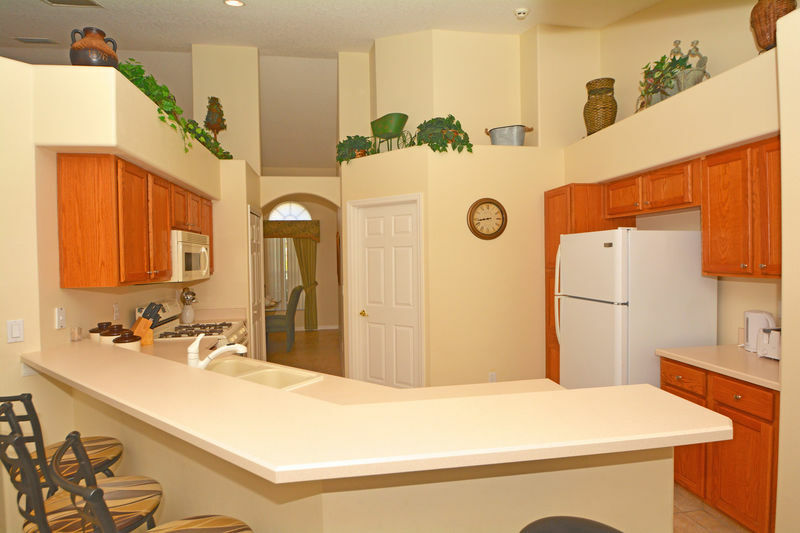 Kitchen is fully equipped with fridge/freezer, electric stove/oven, microwave, dishwasher, coffee maker, blender, toaster and more. 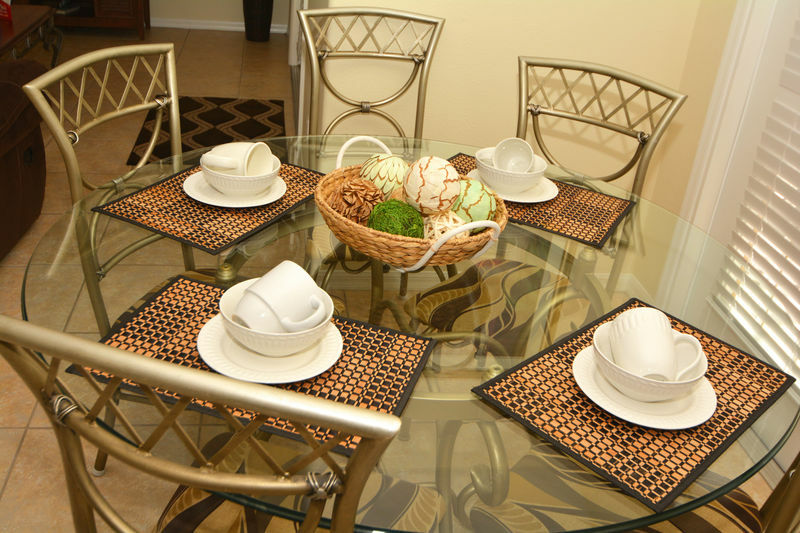 You can easily cook your dinner meals, make a quick lunch and eat your breakfasts at home before heading out for a busy day saving you lots of money during your vacation. 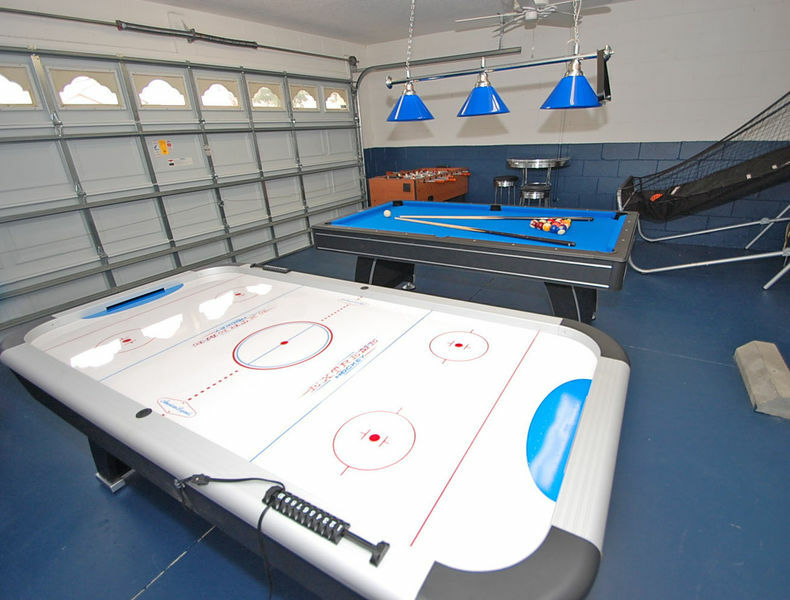 The garage has been converted into a wonderful games room that both young and old can enjoy. 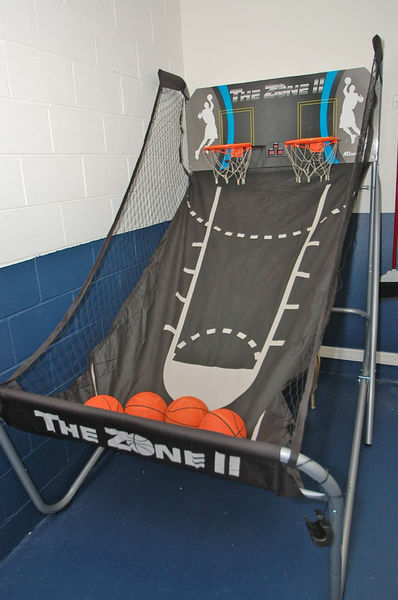 Equipped with a 7 foot pool table, air hockey table, foozball table and double basketball game there is just something for everyone. 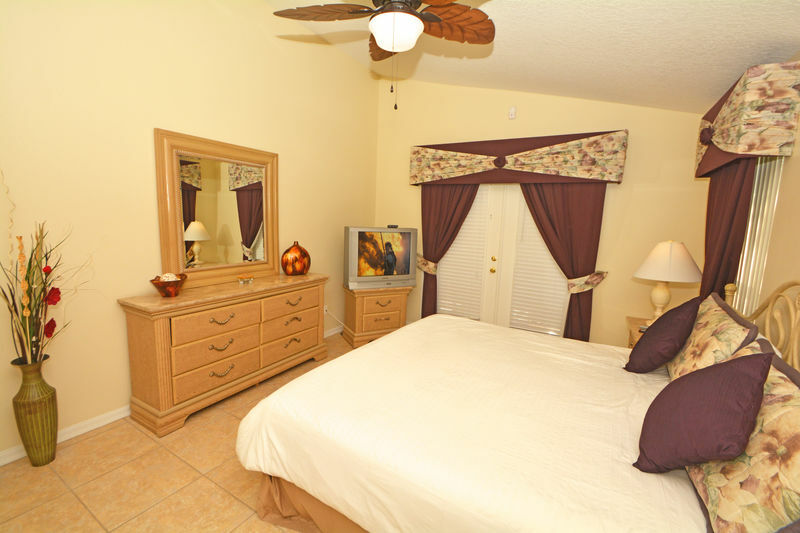 King master bedroom is very spacious and has a large en-suite bathroom featuring a garden tub, shower and separate WC. 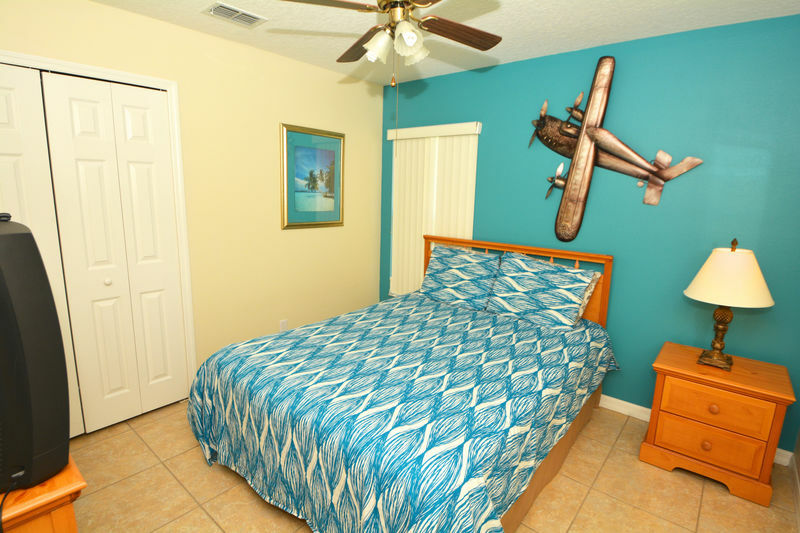 There is a TV in this bedroom. 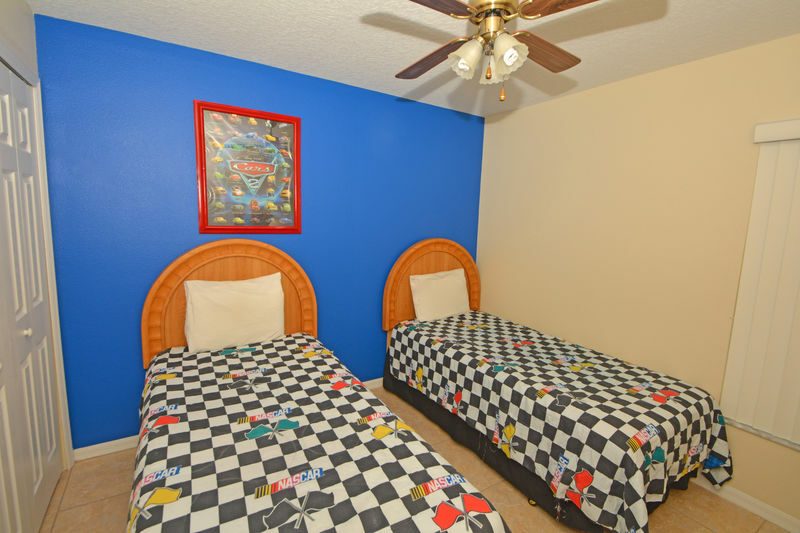 There are 3 bedrooms with 2 x Twin beds each and all decorated differently. 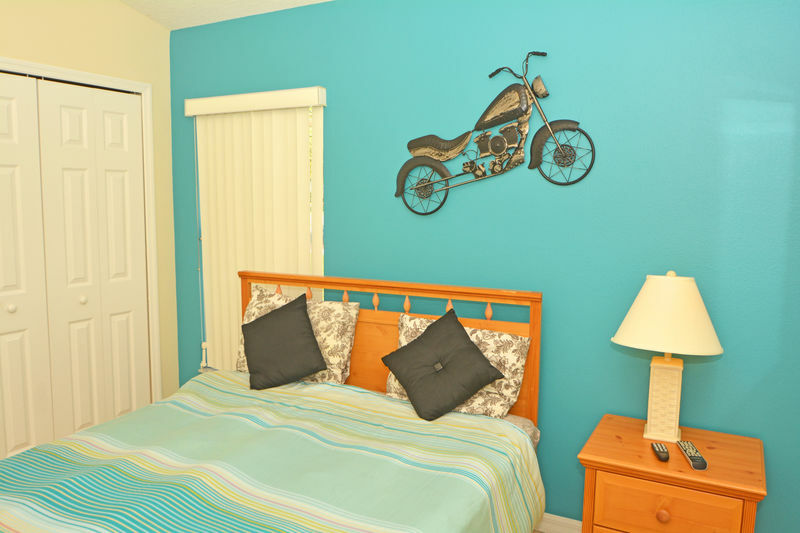 One has a Cars movie theme and ideal for young ones or just the young at heart. 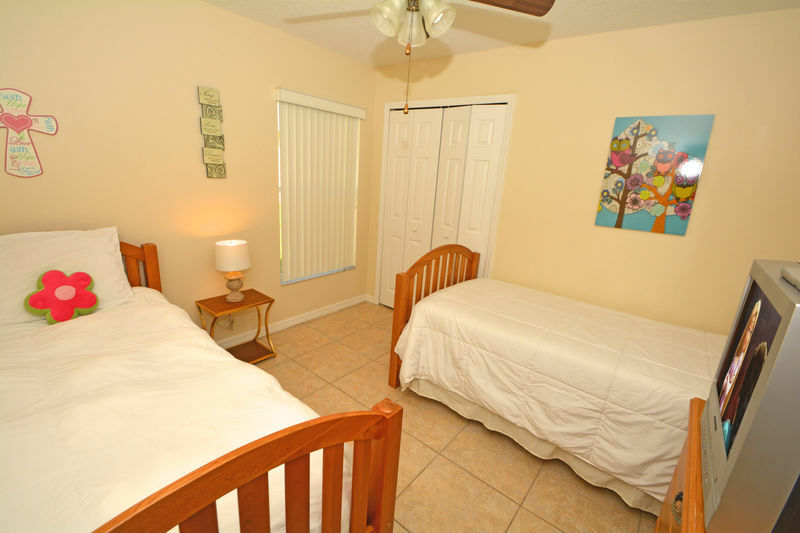 Another bedroom has a flower theme (this one has a TV) and the last one a garden theme. 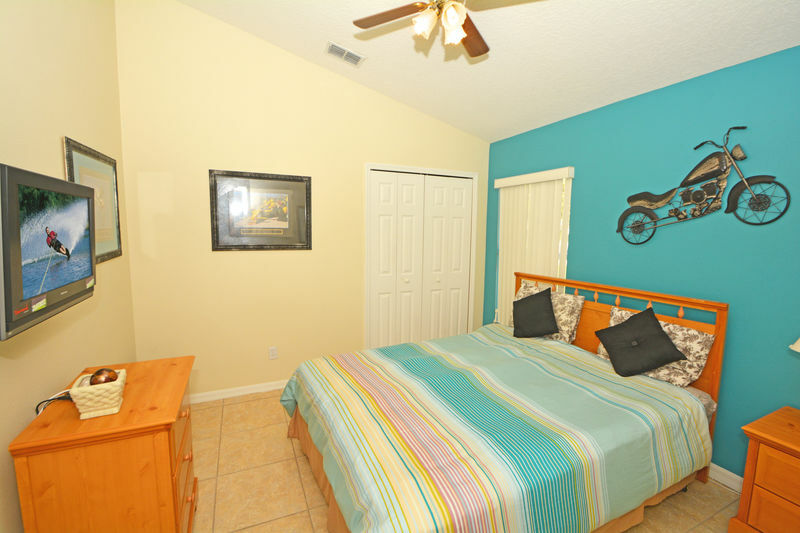 The 2 x Queen bedrooms have also been decorated with welcoming bright colors and both have Tv's. 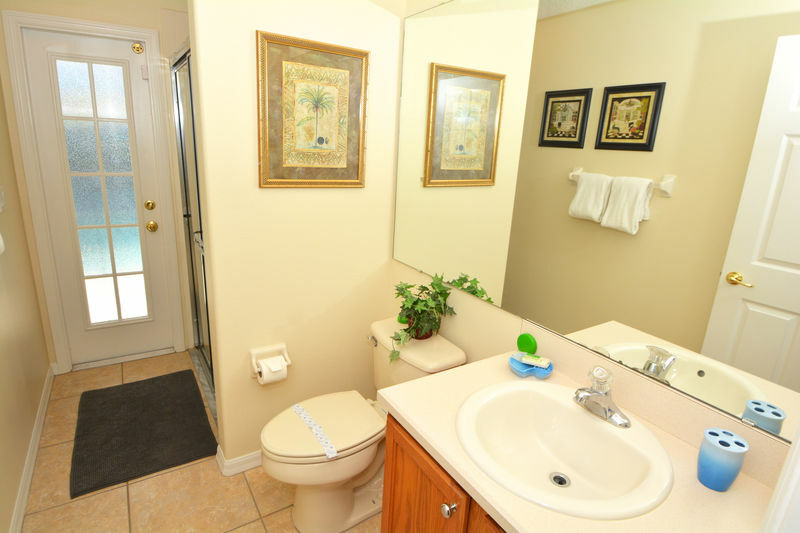 One of these bedrooms is en-suite. 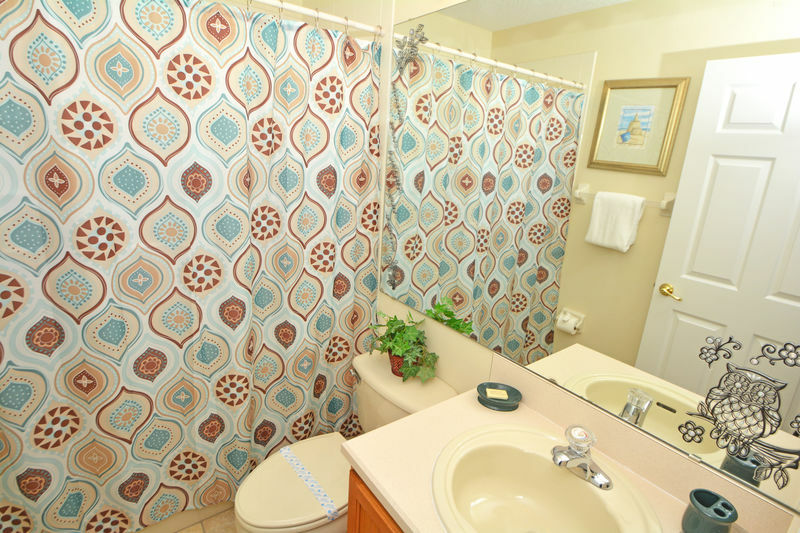 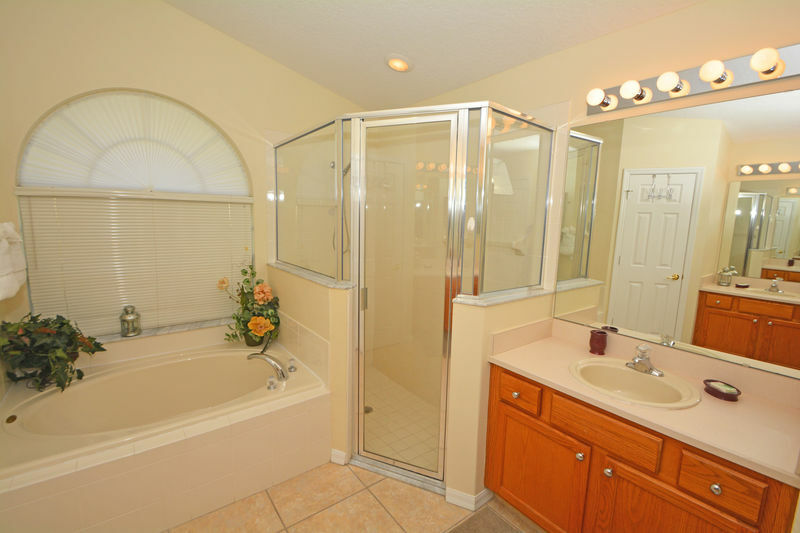 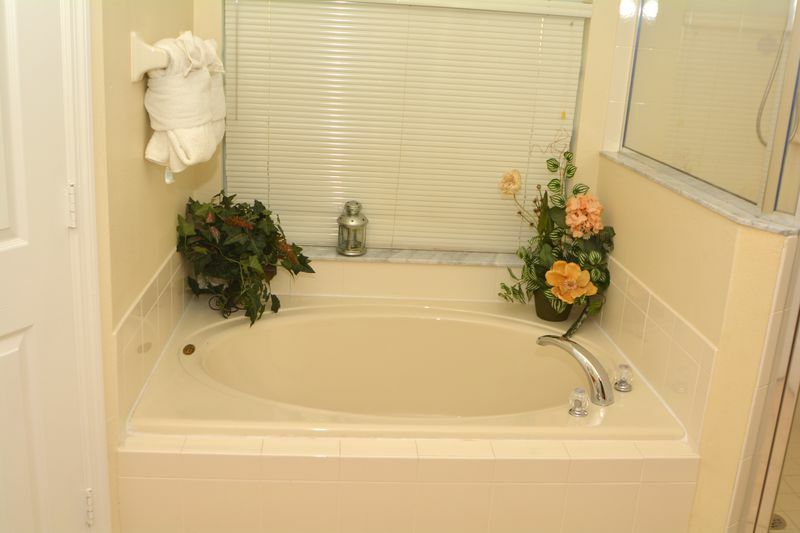 The 3rd bathroom is shared and also has access to the pool deck area. 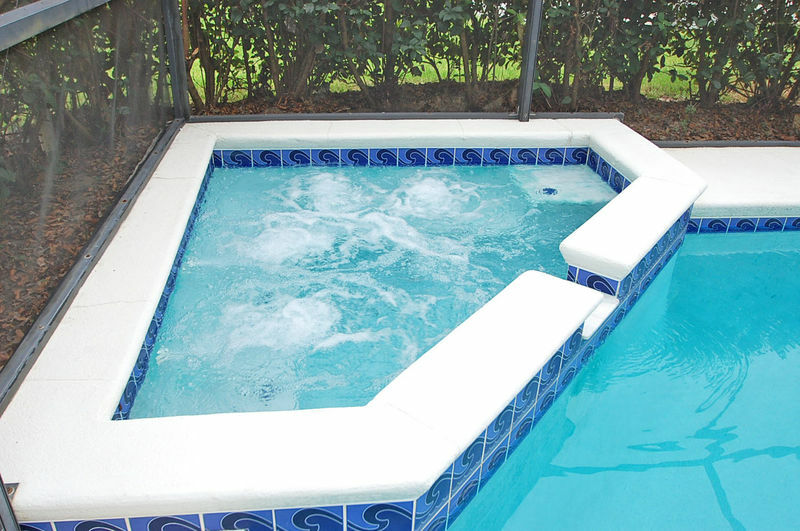 The pool and spa are just fantastic as they have a screened enclosure as well as a covered lanai so you can still sit out by the pool, even on rainy days, for a meal or just to lounge and read a book. 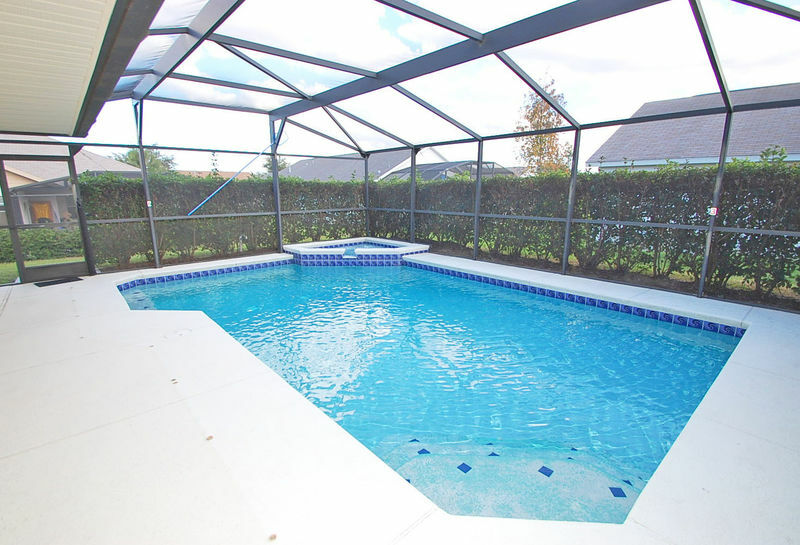 There are shrubs around the pool enclosure making it very private. 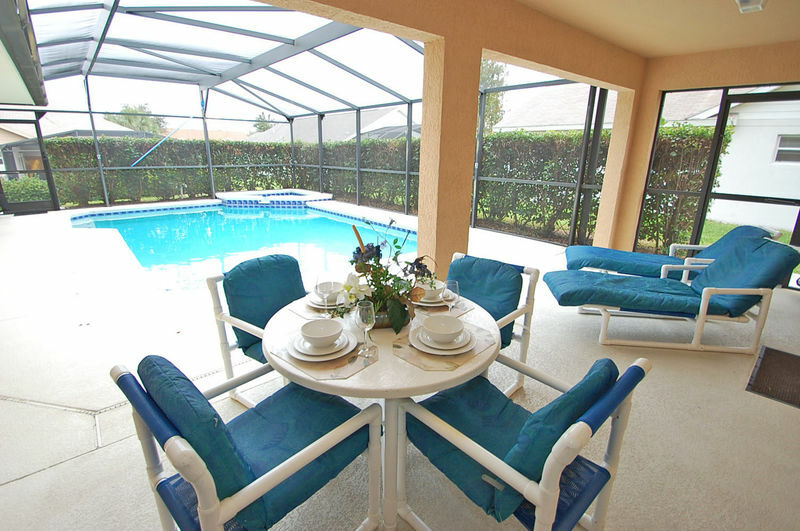 There is a table and 4 chairs as well as 2 sun loungers. 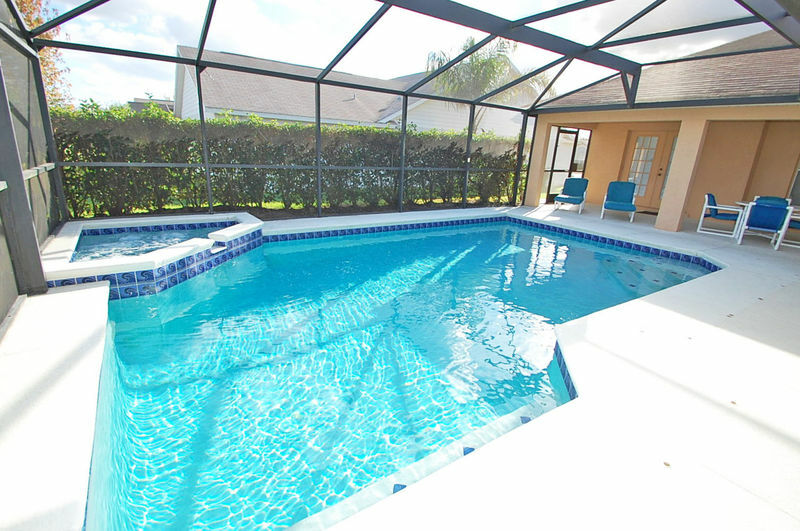 The pool also has a security fence for added safety.